A Jaguar Courtesy Vehicle - Has Not Been Titled and Qualifies for All New Vehicle Incentives and Special Leasing Programs! This is Also Jaguar Certified – The Reminder of a Certified 6 Year or 100,000 Mile Warranty is in effect! The Original MSRP was $50,195! Loaded with the: Cold Climate Package, Drive Pro Package, Fixed Panoramic Roof, Passive Entry Push Button Start, LED Headlamps and Signature DRL, Chrome Side Window Surrounds, 19-Inch 5-Spoke Style 5049 Wheels in Satin Dark Grey Finish, Powered Tailgate, Satellite Radio and HD Radio, Meridian Sound System, Homelink Garage Door Opener, 10-Way Heated Electric Front Seats, Santorini Black Paint and Ebony Grained Leather Seats and Much more. ----- 2.0L I4 Turbocharged, AWD, **Panoramic Roof**, **Navigation**, **Certified**, **Power Tailgate**. Odometer is 905 miles below market average! 2018 Jaguar E-PACE S S 9-Speed Automatic Santorini Black Selling the nicest new cars means you get all the nicest pre-owned vehicles! We utilize up-to-the-hour Market Based Pricing, and are located just moments from I-294 on Ogden Avenue. Finding us is as easy as doing business with us. Land Rover Hinsdale is a name you can trust! The Cars will bring you in...the EXPERIENCE will bring you back! Please call or email today to schedule a test drive. A Jaguar Courtesy Vehicle - Has Not Been Titled and Qualifies for All New Vehicle Incentives and Special Leasing Programs! This is Also Land Rover Certified – The Reminder of a Certified 6 Year or 100,000 Mile Warranty is in effect! The Original MSRP was $48,175! Loaded with the: Cold Climate Package, Drive Pro Package, Fixed Panoramic Roof, Passive Entry PUsh Button Start, LED Headlamps and Signature DLR, Chrome Side Winshow Surrounds, 18" 9-Spoke Style 9008 Wheels, Powered Tailgate, Satellite Radio and HD Receiver, Meridian Premium Sound System, Garage Door Opener, 10-Way Heated Power Seats and Much More. ----- **Panoramic Roof**, **Navigation**, **Backup Camera**, **Certified**, Adaptive Cruise Control w/Queue Assist, Adaptive Speed Limiter, Blind Spot Assist, Cold Climate Package, Drive Package, Heated Washer Jets, Heated Windshield, High Speed Emergency Braking, Navigation system: InControl Navigation Pro, Softgrain Leather Heated Steering Wheel. 2018 Jaguar E-PACE S S 9-Speed Automatic Fuji White Selling the nicest new cars means you get all the nicest pre-owned vehicles! We utilize up-to-the-hour Market Based Pricing, and are located just moments from I-294 on Ogden Avenue. Finding us is as easy as doing business with us. Land Rover Hinsdale is a name you can trust! The Cars will bring you in...the EXPERIENCE will bring you back! Please call or email today to schedule a test drive. E-Pace SE with Extremely Rare Equipment - The Original MSRP was $51,280! A Jaguar Courtesy Vehicle - Has Not Been Titled and Qualifies for All New Vehicle Incentives and Special Leasing Programs! This is Also Jaguar Certified – The Reminder of a Certified 6 Year or 100,000 Mile Warranty is in effect! Loaded with the: Cold Climate Package, TFT Virtual Instrument Cluster, Fixed Panoramic Roof, Passive Entry Push Button Start, Power Point Socket x 2, Chrome Side Window Surrounds, 19" 5-Spoke Style 5049 Satin Dark Grey Finish Alloy Wheels, Powered Tailgate, Satellite Radio and HD Receiver, Meridian Sound System, Homelink Garage Door Opener, 14-Way Heated Electric Memory Front Seats, Santorini Black Paint with Ebony Grained Leather Seating and Much more. ----- 2.0L I4 Turbocharged, **Panoramic Roof**, **Navigation**, **Certified**, **Memory Seating**, Wheels: 19" 5 Spoke w/Satin Technical Gray Finish. Odometer is 2168 miles below market average! 2018 Jaguar E-PACE SE SE 9-Speed Automatic Santorini Black Metallic Selling the nicest new cars means you get all the nicest pre-owned vehicles! We utilize up-to-the-hour Market Based Pricing, and are located just moments from I-294 on Ogden Avenue. Finding us is as easy as doing business with us. Land Rover Hinsdale is a name you can trust! The Cars will bring you in...the EXPERIENCE will bring you back! Please call or email today to schedule a test drive. A Jaguar Courtesy Vehicle - Has Not Been Titled and Qualifies for All New Vehicle Incentives and Special Leasing Programs! This is Also Jaguar Certified – The Reminder of a Certified 6 Year or 100,000 Mile Warranty is in effect! The Original MSRP was $50,195! Loaded with the: Cold Climate Package, Drive Pro Package, Fixed panoramic Roof, Passive Entry Push Button Start, Chrome Side Window Surrounds, 19-Inch 5-Spoke Style 5049 Satin Dark Grey Finish, Powered Tailgate, SiriusXM Satellite Radio and HD Receiver, Meridian Sound System, Garage Door Opener (Homelink), 10-Way Heated Electric Front Seats, Corris Grey Paint with a Ebony Grained Leather Interior and Much more. ----- 2.0L I4 Turbocharged, AWD, **Panoramic Roof**, **Navigation**, **Certified**, **Power Tailgate**, Adaptive Cruise Control w/Queue Assist, Adaptive Speed Limiter, Blind Spot Assist, Cold Climate Package, Drive Package, Heated Washer Jets, Heated Windshield, High Speed Emergency Braking, Navigation system: InControl Navigation Pro, Softgrain Leather Heated Steering Wheel, Wheels: 19" 5 Spoke w/Satin Technical Gray Finish. Odometer is 1792 miles below market average! 2018 Jaguar E-PACE S S 9-Speed Automatic Corris Gray Metallic Selling the nicest new cars means you get all the nicest pre-owned vehicles! We utilize up-to-the-hour Market Based Pricing, and are located just moments from I-294 on Ogden Avenue. Finding us is as easy as doing business with us. Land Rover Hinsdale is a name you can trust! The Cars will bring you in...the EXPERIENCE will bring you back! Please call or email today to schedule a test drive. A Jaguar Courtesy Vehicle - Has Not Been Titled and Qualifies for All New Vehicle Incentives and Special Leasing Programs! This is Also Land Rover Certified – The Reminder of a Certified 6 Year or 100,000 Mile Warranty is in effect! The Original MSRP was $62,701! Loaded with the: Indus Silver, Satellite Radio and HD Radio, Heated Front Windshield, Protection Package AWD, Vision Package, All Wheel Drive and Much More. Indus Silver with Ebony Fascia and Ebony Seat Tonal. ----- 2.0L I4 16V Turbocharged, AWD, **Sunroof/Moonroof**, **Navigation**, Bluetooth, **Backup Camera**, Heat Package, Climate Package, Remote Start, Alloy Wheels, Convenience Package, **Certified**, **CPO**, Adaptive LED Headlights w/Signature DRL, Blind Spot Monitor w/Closing Vehicle Sensing, Chrome Wheel Locks, Collapsible Cargo Carrier, Emergency Braking, Front & Rear Rubber Mats, Navigation system: InControl Navigation, Protection Package, SiriusXM Satellite Radio, Trunk Mat, Vision Assist Package, Wheel Lock Package. Odometer is 2411 miles below market average! 2018 Jaguar XF Prestige Prestige 8-Speed Automatic Indus Silver Metallic Selling the nicest new cars means you get all the nicest pre-owned vehicles! We utilize up-to-the-hour Market Based Pricing, and are located just moments from I-294 on Ogden Avenue. Finding us is as easy as doing business with us. Land Rover Hinsdale is a name you can trust! The Cars will bring you in...the EXPERIENCE will bring you back! Please call or email today to schedule a test drive. Rare Jaguar Certified First Edition Model with an Original MSRP of $56,101! A Jaguar Courtesy Vehicle - Has Not Been Titled and Qualifies for All New Vehicle Incentives and Special Leasing Programs! This is Also Jaguar Certified – The Reminder of a Certified 6 Year or 100,000 Mile Warranty is in effect! Loaded with the: First Edition Model Package, Santorini Black Paint, Premium Interior protection Package, Abbreviated Wheel Protection Package Chrome Locks, Car Care Kit, rear Seat Convenience Pack and Much more. ----- **Panoramic Roof**, **Navigation**, **Certified**, Navigation system: InControl Navigation Pro. Odometer is 1722 miles below market average! 2018 Jaguar E-PACE First Edition First Edition 9-Speed Automatic Santorini Black Selling the nicest new cars means you get all the nicest pre-owned vehicles! We utilize up-to-the-hour Market Based Pricing, and are located just moments from I-294 on Ogden Avenue. Finding us is as easy as doing business with us. Land Rover Hinsdale is a name you can trust! The Cars will bring you in...the EXPERIENCE will bring you back! Please call or email today to schedule a test drive. A Jaguar Courtesy Vehicle - Has Not Been Titled and Qualifies for All New Vehicle Incentives and Special Leasing Programs! This F-Pace is Land Rover Certified – The Reminder of a Certified 6 Year or 100,000 Mile Warranty is in effect! The Original MSRP was $61,906! Loaded with the: Black Exterior Package, Vision Package, Comfort and Convenience Package, 10x10 Way Front Seats with Memory, Gloss Black Veneer, Rear Seat Convenience Pack, Car Care Kit, InControl Touch Navigation, Wheel Protection Pack Chrome Locks, Premium Interior Protection Pack, Heated Front Windshield, 19" 5-Spoke Style 5037 Gloss Black Finish Wheels, Satellite Radio with HD Receiver, Black Gloss Roof Rails, Corris Grey Paint with Ebony Leather and Much more. ----- **Panoramic Roof**, **Navigation**, **Backup Camera**, **Certified**, Adaptive LED Headlights w/LED Signature DRL, Black Package, Blind Spot Monitor w/Reverse Traffic Detection, Comfort & Convenience Package, Cooled Front Seats & Heated Rear Seats, Gloss Black Grille w/Gloss Black Surround, Perforated Grained Leather Seat Trim, Powered Gesture Tailgate, Vision Package. 2018 Jaguar F-PACE 30t Prestige 30t Prestige 8-Speed Automatic Gray Metallic Selling the nicest new cars means you get all the nicest pre-owned vehicles! We utilize up-to-the-hour Market Based Pricing, and are located just moments from I-294 on Ogden Avenue. Finding us is as easy as doing business with us. Land Rover Hinsdale is a name you can trust! The Cars will bring you in...the EXPERIENCE will bring you back! Please call or email today to schedule a test drive. AWD, **Navigation**, **Backup Camera**, **Heated Steering Wheel**, **Heated Seats**, **Captains Chairs**. Selling the nicest new cars means you get all the nicest pre-owned vehicles! We utilize up-to-the-hour Market Based Pricing, and are located just moments from I-294 on Ogden Avenue. Finding us is as easy as doing business with us. Land Rover Hinsdale is a name you can trust! The Cars will bring you in...the EXPERIENCE will bring you back! Please call or email today to schedule a test drive. 5.6L V8, **Sunroof/Moonroof**, **Navigation**, **Backup Camera**, **Bose Sound System**, **Remote Start**, Navigation System, Radio: Bose Premium Sound System w/Navigation. Selling the nicest new cars means you get all the nicest pre-owned vehicles! We utilize up-to-the-hour Market Based Pricing, and are located just moments from I-294 on Ogden Avenue. Finding us is as easy as doing business with us. Land Rover Hinsdale is a name you can trust! The Cars will bring you in...the EXPERIENCE will bring you back! Please call or email today to schedule a test drive. A Land Rover Courtesy Vehicle - Has Not Been Titled and Qualifies for All New Vehicle Incentives and leasing! This is Also Land Rover Certified – The Reminder of a Certified 5 Year or 100,000 Mile Warranty is in effect! The Original MSRP Was $45,641. Ex Service Loaner! Loaded with the 18" 5-Spoke Split Style 511 Wheels, Convenience Package, Climate Comfort Package, Santorini Black Metallic Paint, Premium Interior Protection and Storage Package, Audio Upgrade Package, Ebony/Ebony Leather Interior, All Wheel Drive and Much More. 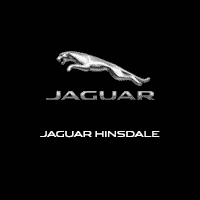 Excellent Condition and Fully Serviced and Maintained here at Jaguar Land Rover Hinsdale. ----- 2.0L I4 Turbocharged, **All Recalls and Maintenance Up to Date**, **Panoramic Roof**, **Navigation**, **Backup Camera**, Climate Package, Convenience Package, **Certified**, Audio Upgrade Package, Auto-Dimming Interior Mirror, Climate Comfort Package, Convenience Package, Heated Front & Rear Seats, Heated Steering Wheel, Heated Windshield, HomeLink, Navigation System, Passive Entry, Powered Gesture Tailgate, Radio: Meridian Audio System w/11 Speakers, SiriusXM Satellite & HD Radio. Recent Arrival! 2019 Land Rover Discovery Sport SE SE 9-Speed Automatic Santorini Black Selling the nicest new cars means you get all the nicest pre-owned vehicles! We utilize up-to-the-hour Market Based Pricing, and are located just moments from I-294 on Ogden Avenue. Finding us is as easy as doing business with us. Land Rover Hinsdale is a name you can trust! The Cars will bring you in...the EXPERIENCE will bring you back! Please call or email today to schedule a test drive. Incredibly Clean and Well Serviced. Locally Traded into us for a Land Rover. New Wheels and Tires Installed by Customer. Never Tracked or Modified. Rare 6-Speed Manual and Extremely Low Miles. Clean History Report and No Issues or Problems. Drives wonderfully! ----- 3.6L H6 SMPI DOHC 325 hp, 6-Speed Manual with Overdrive. Recent Arrival! Odometer is 36127 miles below market average! 2005 Porsche 911 Carrera Carrera 6-Speed Manual with Overdrive Black Selling the nicest new cars means you get all the nicest pre-owned vehicles! We utilize up-to-the-hour Market Based Pricing, and are located just moments from I-294 on Ogden Avenue. Finding us is as easy as doing business with us. Land Rover Hinsdale is a name you can trust! The Cars will bring you in...the EXPERIENCE will bring you back! Please call or email today to schedule a test drive. A Land Rover Courtesy Vehicle - Has Not Been Titled and Qualifies for All New Vehicle Incentives and Special Leasing Programs! This is Also Land Rover Certified – The Reminder of a Certified 5 Year or 100,000 Mile Warranty is in effect! The Original MSRP was $45,641! Loaded with the: Audio Upgrade Package, 18-Inch 5 Split-Spoke Style 511 with Gloss Dark Grey Finish, Cirrus Headlining, Climate Comfort Package, Convenience Package, Navigation System, Santorini Black, Premium Interior Protection and Storage Pack, Wheel Protection Pack Chrome Locks, Car Care Kit and rear Seat Convenience Pack and Much more. ----- 2.0L I4 Turbocharged, **All Recalls and Maintenance Up to Date**, **Navigation**, **Backup Camera**, Climate Package, Convenience Package, **Power Tailgate**, Audio Upgrade Package, Auto-Dimming Interior Mirror, Climate Comfort Package, Convenience Package, Heated Front & Rear Seats, Heated Steering Wheel, Heated Windshield, HomeLink, Navigation System, Passive Entry, Powered Gesture Tailgate, Radio: Meridian Audio System w/11 Speakers, SiriusXM Satellite & HD Radio, Wheels: 18" 5 Split Spoke (Style 511). Selling the nicest new cars means you get all the nicest pre-owned vehicles! We utilize up-to-the-hour Market Based Pricing, and are located just moments from I-294 on Ogden Avenue. Finding us is as easy as doing business with us. Land Rover Hinsdale is a name you can trust! The Cars will bring you in...the EXPERIENCE will bring you back! Please call or email today to schedule a test drive. ***Dealer not responsible for typographical errors. Pictures are for illustration purposes only. All vehicles subject to prior sales. See dealer for details. New vehicle prices include universally available manufacturer incentives & manufacturer rebates in lieu of special financing. Plus tax, title, license & $179.81 doc fee. MSRP may not be price at which vehicle is sold in trade area. New vehicle MPG’s are EPA’s estimated city and highway MPG’s.